Previously on A Man Named Marlowe: Marlowe stops in at an all-night diner in an attempt to decompress from the murders he’s witnessed. When he gets back to his apartment, he receives a call from a henchman, telling him that Krypton Club owner Benny Chance wants Marlowe off the case, and he’s willing to pay to see it happen. In Episode 4, Two more murders bring Marlowe to the edge, until an unbelievable visit from an older man sends him to Spokane looking for answers. Heard in this episode: Dan Mountain as Bernie Ohls Sam T. Wilson as Henry Long Brett Solimine as The Desk Clerk James Scully as Philip Marlowe Featured Music: Riders on the Storm by George Winston from Night Divides the Day – The Music of the Doors You Did It, You Did It by Rahsaan Roland Kirk & His Quartet A Man Named Marlowe is available in the same feed as Breaking Walls. Subscribe on iTunes and everywhere else you get your podcasts by searching for Breaking Walls or at TheWallBreakers.com. 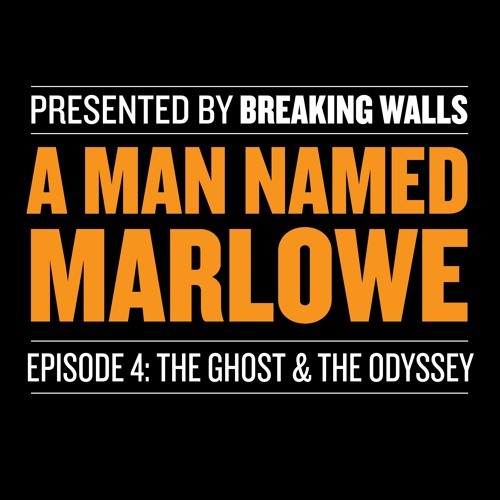 … and if you enjoy A Man Named Marlowe, tune in to Breaking Walls, a documentary series on the history of American Radio Broadcasting. The most recent episode—number 80—looks at a summer series called Forecast that ushered in an era of public pilots, and gave rise to three incredibly popular shows. Both of these shows are available by searching for Breaking Walls wherever you get your podcasts or by going to TheWallBreakers.com To support these shows for as little as $1 per month, please go to patreon.com/TheWallBreakers.